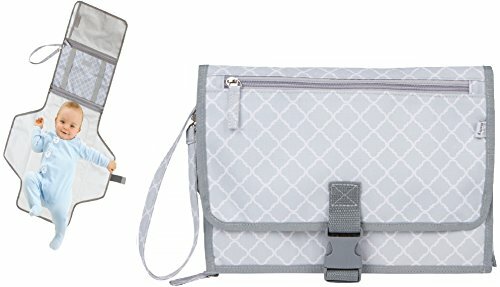 Designed by a mom and small enough to fit in your purse! 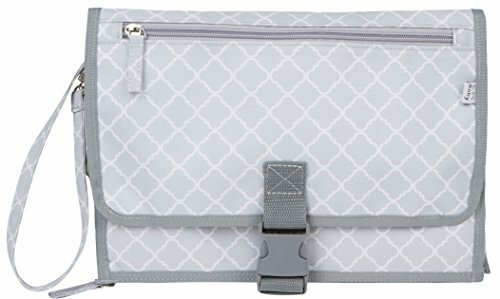 No need for a bulky diaper bag, our portable diaper clutch with changing pad is stylish and great for travel. The outside material is an easy to clean, high quality canvas. This organizer is constructed using eco-friendly materials and is 100% safe for your baby. This diaper clutch has lots of pockets to store essential items. The changing pad is very soft and cushy with a plush pillow in the head area to ensure your baby's comfort. The large pad is waterproof, easy to clean, very soft and durable (100% PEVA). It also conveniently zips off if needed. 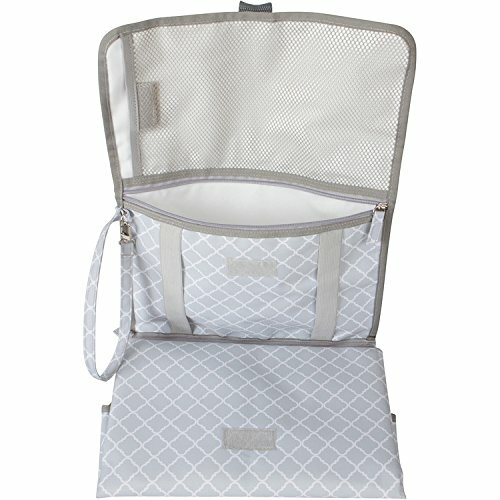 The diaper organizer has front and inside zipper pockets that are perfect for essential items. 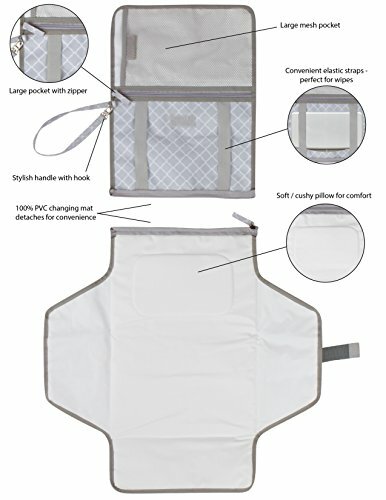 There is also a large mesh pocket for diapers, wipes, creams, etc. In addition, a convenient handle that can hook on to any stroller or your wrist. Dimensions: 1.5" x 8.5" x 11.75 (folded). This item is fully backed with a 100% HASSLE FREE, lifetime warranty.